The heart of the Native American experience: In this 1996 Minnesota Book Award winner, Kent Nerburn draws the reader deep into the world of an Indian elder known only as Dan. It's a world of Indian towns, white roadside cafes, and abandoned roads that swirl with the memories of the Ghost Dance and Sitting Bull. Readers meet vivid characters like Jumbo, a 400-pound mechanic, and Annie, an 80-year-old Lakota woman living in a log cabin. Threading through the book is the story of two men struggling to find a common voice. Neither Wolf nor Dog takes readers to the heart of the Native American experience. As the story unfolds, Dan speaks eloquently on the difference between land and property, the power of silence, and the selling of sacred ceremonies. This edition features a new introduction by the author, Kent Nerburn. 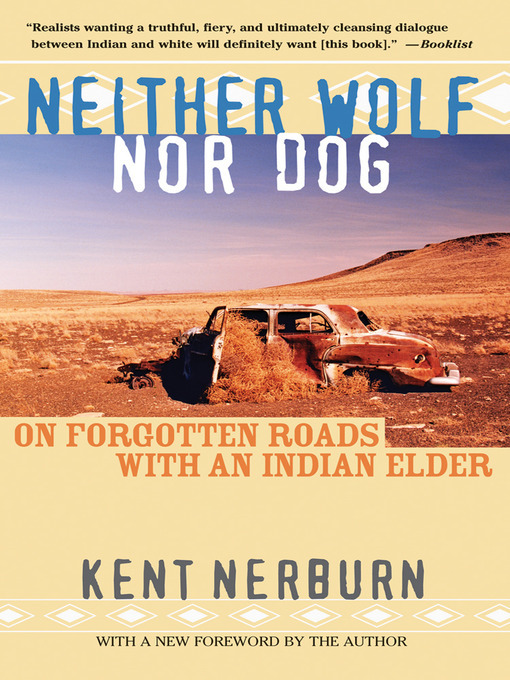 If you enjoyed Empire of the Summer Moon, Heart Berries, or You Don't Have to Say You Love Me, you'll love owning and reading Neither Wolf nor Dog by Kent Nerburn.